Blake was referred to us directly by one of his business associates, Sam. Sam had highly recommended us to Blake to have a website created for his credit score services business. Our website designer got to work on Blake’s website and after a few messages and phone calls, the site is now finished and published! We appreciate the referral from Sam and are happy that he believes that we run a solid website design business! 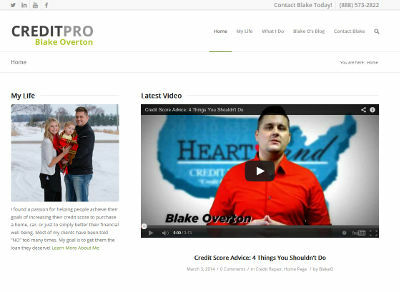 Blake’s website is at creditproblakeo.com.